Firstly, it’s got super soft wheels. In terms of hardness, they’re 78A. 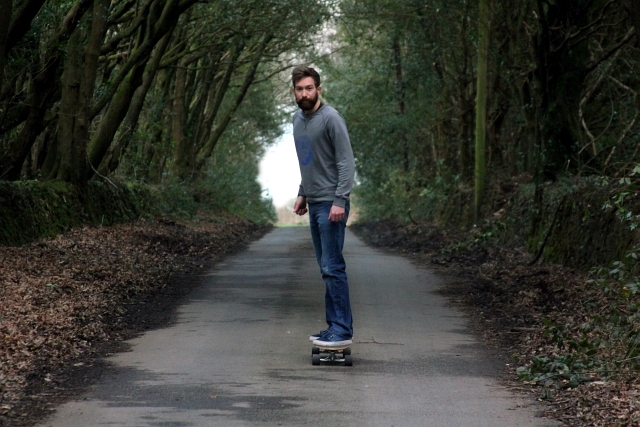 Anywhere between from 75A to 85A are great for longboard cruising. With roads and pavements often being cracked and bumpy, a nice soft set of wheels will stop the board rattling and will make your ride feel much better. These 78A wheels will dampen any vibrations you get whilst skating around. Further to all this, it’s got quality ABEC 7 bearings which really make this board glide around. It carves beautifully and is such fun to ride. I love the branding and look of the Oxelo brand. It’s not one of the most famous skate brands out there (yet), but with their high quality and awesome pricing, they’re definitely up and coming. The Oxelo logo looks awesome on the grip tape and the underside of the board. The deck itself is fantastic, it’s 110cm long which is a great length for cruising and looks sweet. At 24cm wide the board is easy to ride, making it a very accessible board and a great one to learn on. The deck is a 7 ply maple and bamboo construction, it’s nice and stiff which helps the performance and the bamboo just looks ace. 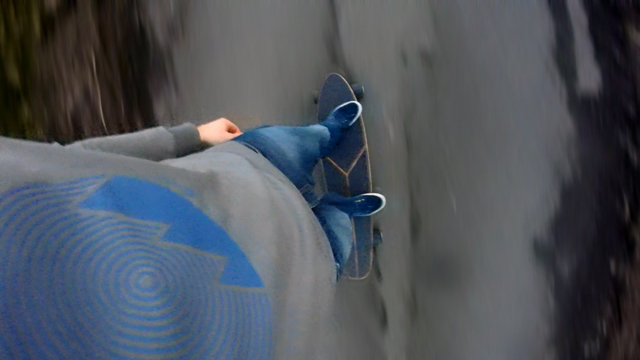 It’s super strong and super stable and I just love the look and feel of this longboard. The styling of this board is great; there are thin cut-outs on the grip tape which give the top a tri-sectional design. Underneath this is then reflected with a three colour paint job along with a paint break to reveal that awesome bamboo. The deck has drum sanded wheel wells which not only give you a cool cross-sectional look at the deck’s layered construction, but also gives you a better turn and makes the board even better for carving. It has lovely wide, aluminium ‘reverse pivot’ trucks – basically, these are the ones you want as they are the text book, classic longboard truck. 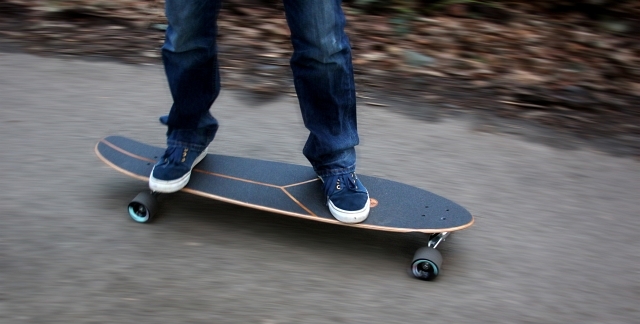 Their reversed kingpin allows for a great range of manoeuvrability which you need to carve nicely on a longboard. This is what you see on most longboards and what you want on yours! One of the best features of this board is the price! Coming in at sub £80, the Oxelo Bauhaus is a real bargain. With specs like this I’d be expecting to pay around the £150 mark. Oxelo is part of the huge Decathlon family too, so you know you’re buying quality and a highly progressive design for that price. It’s not cheaply made or poor quality either: it’s got ABEC 7 bearings, nice 78A wheels, a really nice responsive 7 ply maple and bamboo deck and a great pair of trucks and it’s at a stunning price. If you want a really awesome board at a really great price, I’d definitely recommend this one! I came across this really cool video for Oxelo. I’m not normally one for promo videos, but this is just really rad!